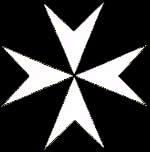 are equally interesting, if less directly relevant to the foundation of the Templars. but three times to write a few words of exhortation for you and your comrades. necessary and all the more difficult. I shall be nonetheless content, since I have not failed to give you my best. raising up again a horn of salvation for us in the house of his servant David. dissolved and to be with Christ, by far the better thing. they who die for the Lord! your body and soul together should be slain by him. need not die when the body does. No, it is the soul which sins that shall die. unable to pierce your silks? care; he must be free in his movements, and he must be quick to draw his sword. kill or to be killed for such causes as these. freely gives himself for the consolation of his fallen knight. of Christ towards evildoers and he is rightly considered a defender of Christians. there is a reward for the just; truly it is God who judges the earth. the lot of the just, and the righteous perhaps put forth their hands unto iniquity. hands and hearts hold for us Sion, the city of our strength? Sion, and rejoice in the good things of the Lord." you up. Arise now and shake off the dust, O virgin, captive daughter of Sion. of the other, and that it is the heavenly one which is our mother. God differs from the knight of the world. In the first place, discipline is in no way lacking and obedience is never despised. every excess in clothing and food and content themselves with what is necessary. repairing their worn armor and torn clothing, or simply by setting things to order. the sun and of their armor. show. They think not of glory and seek to be formidable rather than flamboyant. prudently and providently drawn up into orderly ranks, as we read of the fathers. Indeed, the true Israelite is a man of peace, even when he goes forth to battle. sword in hand, and superbly trained to war. captivated by pure hearts rather than by gilded paneling. considering it most unfitting to defile this house of prayer by such traffic. devoted obedience and voluntary poverty. agreeably heartened, while the other is profitably abandoned. do as much good as their former misdeeds did harm. become the source of healing grace and vital sustenance for the whole earth! earth--some bearing fruit thirtyfold, some sixty, and some a hundredfold. abundance of your sweetness and are well nourished on your munificent bounty. accomplished in you even to the ends of the earth.